Charanga Forever was formed in the summer of 1998 as a result of the famous breakup of Charanga Habanera. The original members of the group were all formerly in Charanga Habanera and the early parts of their careers are covered in great depth in our now completed section on the four albums of the original Charanga Habanera: , Hey You Loca, Pa' Que Se Entere La Habana and Tremendo Delirio. The story of the breakup and the early years of Charanga Forever is covered in the article "Charanga Habanera: The Breakup and Beyond". We also have a long article written by former Charanga Forever pianist/arranger Juan Carlos González, and an interview with former bassist/leader Pedro Pablo Gutiérrez. Both of these articles are available in both English and Spanish. Finally, we have Allan Johnston's article: "The Bass Style of Pedro Pablo Gutiérrez". 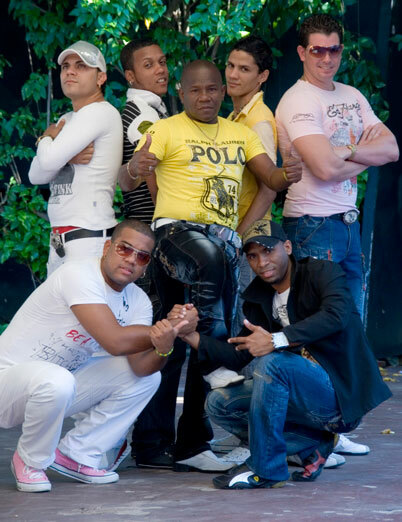 Pedro Pablo is now the leader of Rebambaramba, one of the strongest new groups of the 2000s. Juan Carlos González and Michel Maza returned briefly in 1999, recording one excellent 7-track CD (see Discography). Original members gradually departed throughout the 2000s but the new members have been very promising and two excellent Envidia CDs have been released.